Arrive in Paris. Transfer to Hotel. Check in at Hotel at 2:00 Pm. Evening Free at Your own ( Can opt Gala Evening In Paris ). Overnight at Hotel. Morning after breakfast proceed for City orientation tour which includes Champs Elysees, L’Arc de Triomphe and Place de la Concorde. Visit the Eiffel tow er – top level to get a panoramic view of Paris. Evening Free at Your own. Overnight at Hotel. After Breakfast Full day Visit to Disneyland . Overnight at Hotel. Morning after breakfast Visit Engelberg – Mt. Titlis to experience ‘Titlis Rotair’ – World’s 1st Revolving cable car ride to Mt. 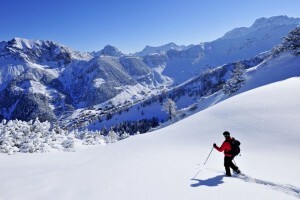 Titlis and visit Ice Grotto, thrilling Ice Flyer ride and Snow sliding (subject to operation). Lucerne city orientation tour includes Lion Mon ument and Kappelbrucke W ooden Bridge. Free time for shopping. Overnight at Hotel. Morning after Breakfast proceed to Venice by Train. On arrival, proceed to your hotel. 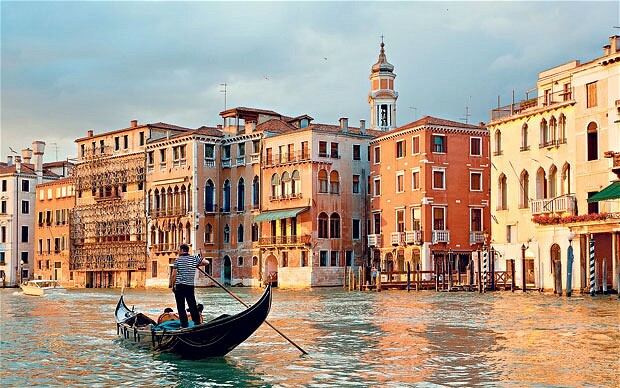 Venice is just as romantic and beautiful as it looks in travelogues and movies. The piazzas and singing gondoliers, the idiosyncratic buildings and water taxis are all there to be seen, admired and photographed for posterity.The rest of the day is at leisure to explore this romantic city (on your own). Why not choose an optional guided walking tour of Venice. Overnight at Hotel. This morning take breakfast & Check out from hotel, then Visit Murano Burano & Torcelano tour and Gondola Ride .then back to hotel and collect your luggage and transfer from your hotel to Venice train station for your train to Florence. Travel from Venice to Florence by train. Arrive by train to Florence, the birth place of renaissance. Also known as the city of the lily, the fame of Florence rests on its age-old image as the Italian hub of Renaissance art and architecture in Europe. With statues and sculptures dotting the piazzas, domes and towers surpassing the height of the sky, palatial palazzo dominating the cityscape, Florence is a beautiful gallery full of gleam and glory, in itself. On arrival in Florence, proceed on your own to your hotel. Morning after breakfast, take a day trip to Tuscany : Pisa, San Gimignano and Siena With Lunch and Wine Tasting, later Back to hotel & Overnight at hotel. Morning after breakfast Proceed to Rome by Train. visit city tour includes Tiber river, Roman Forum, Trevi Fountain, Piazza Venezia, Circus Maximums and a photo stop at Colosseum from outside.Evening will be Free at your own. Overnight at Hotel. – Accommodation on twin sharing basis at the mentioned hotels or similar for a total of 10 nights. – Paris airport – hotel – train station private transfers. – Paris – Basel 2nd class train ticket (1023/1326- Direct). Subject to availability. – Lugano – Venice 2nd class train ticket- Subject to availability. – Venice train station – hotel – train station private transfers. – Venice – Florence 2nd class train ticket – Subject to availability. – Florence train station – hotel – train station private transfers. – Florence – Rome 2nd class train ticket(0848/1019 – Direct) Subject to availability. – Rome train station – hotel –airport private transfers. Covering letter explaining the reason of travel with name & designation of the signatory and that of the person travelling. It should also mention passport delivery address after the visa is done. Students must submit bonafide certificate from school or college. 1 EURO = INR 81. The prevailing Rate of Exchange of the day of payment will be applicable. Morning after breakfast Proceed to Lucerne by Train. (by 1 Change Train) Arrive in Lucerne in the afternoon. Transfer to Hotel at your own. Check in at Hotel. Evening will be Free at your own. Overnight at Hotel. Morning after Breakfast proceed to Innsbruck by Train. On arrival, proceed to your hotel. Check inn at Hotel. the you will visit Swroski Crystal Worlds. then back to hotel , Overnight at Hotel. This morning, transfer from your hotel to Innsbruck train station for your train to Vienna. Arrive by train to Vienna, then you will be transfer to Hotel. Check inn at Hotel .Day free at Leisure. Overnight at Hotel. Morning after breakfast, take full day Hop on Hop Off Bus tour. Overnight at Hotel. Paris airport – hotel – train station private transfers. Paris – Basel 2nd class train ticket (1023/1326- Direct). Subject to availability. Lucerne – Innsbruck 2nd class train ticket(0935/1411 – with 1 change in Zurich). Subject to availability. Innsbruck train station – hotel – train station private transfers. Innsbruck – Vienna 2nd class train ticket(1017/1430 – Direct). Subject to availability. Vienna train station – hotel – airport private transfers.